Mexican police in Querétaro City went on strike this week and called for the resignation of chief Rolando Eugenio Hidalgo Eddy. One of their grievances: that male commanders subjected women officers to attractiveness tests as part of their application to be part of a new women-only unit. Hidalgo Eddy had previously held a similar job in the state of Aguascalientes, where he formed a unit of attractive female officers, who went about their duties wearing high-heeled boots, tight clothes and lots of lipstick. The scheme won national attention in 2013 when the women appeared in a photo with President Enrique Peña Nieto. Analysts say it made no impact on security and the state abandoned the project last month. But not before other cities copied the move: Acapulco has its own “tourist force” of young female officers. 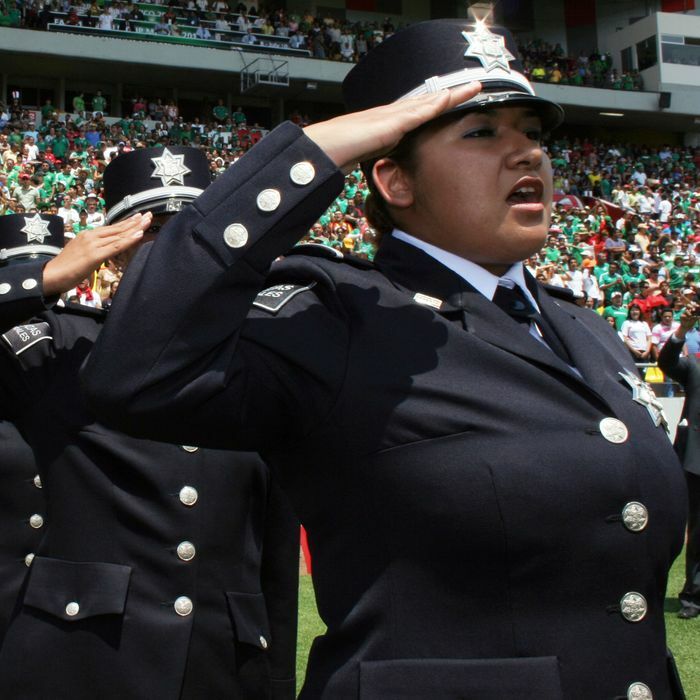 The Querétaro police deny that there is a women-only unit in the works and wouldn’t comment on the allegations of sexual harassment, citing the ongoing investigation by the human-rights commission.